Here the most important thing is that to take the joy of this attribute only if the PC works on Windows 10 Falls Creators Update. After connecting the two you get an option to view the desired stuff now or later. You can command the device to show the material now else it stores the same for later use as per your convenience. 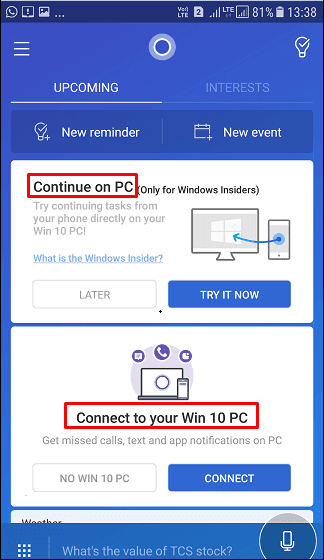 You can access these features with Continue Now or Continue Later buttons visible on the screen.